У статті удосконалено методичне забезпечення діагностики неплатоспроможності підприємств на основі моделювання сценаріїв розвитку неплатоспроможності з урахуванням факторів внутрішнього та зовнішнього середовища, а також потенціалу відновлення платоспроможності. Реалізацію сценарного підходу до оцінювання ризику неплатоспроможності здійснено в такій послідовності: оцінено поточний рівень неплатоспроможності підприємств з урахуванням їх поточного фінансового стану; оцінено фінансовий потенціал відновлення платоспроможності підприємств; побудовано сценарії розвитку неплатоспроможності з урахуванням факторів внутрішнього, зовнішнього середовища та фінансового потенціалу. Такий підхід до діагностики неплатоспроможності металургійних підприємств, побудований на основі комплексного дослідження внутрішніх факторів фінансової діяльності підприємств та факторів зовнішнього середовища, забезпечує перспективну оцінку неплатоспроможності підприємства з урахуванням його поточного стану та резервів відновлення платоспроможності, якими виступає фінансовий потенціал. Запропонований підхід дозволяє здійснити превентивну діагностику неплатоспроможності підприємства. Ключові слова: неплатоспроможність підприємства; ризик неплатоспроможності; банкрутство; фінансовий стан; фінансовий потенціал; платоспроможність. 2. Hamilton D.T. Through-the-Cycle EDF Credit Measures [Електронний ресурс] / D.T. Hamilton, Zh. Sun, M. Ding // Moody's Analytics Methodology. — 2011. — Режим доступу: http://www.moodysanalytics.com/ ~/ media/Microsites /ERS/2011/through-cycle-EDF/MoodysAnalytics_Through-the-Cycle%20EDF% 20Measure% 20Methodology%20Overview.pdf. 3. Wilson T. Portfolio Credit Risk: part I / T. Wilson // RiskMagazine. — 1997. — September. — Р. 111—117. 5. Hosaka T. Bankruptcy prediction using imaged financial ratios and convolutional neural networks / T. Hosaka // Expert Systems with Applications. — 2019. — № 117. — P. 287—299. 6. Altman E. Corporate Financial Distress and Bankruptcy: Predict and Avoid Bankruptcy, Analyze and Invest in Distressed Debt / E. Altman, E. Hotchkiss. — Hoboken: John Wiley and Sons, Ltd, 2006. 7. Toffler R. Going, going, gone — four factors which predict / R. Toffler, H. Tishaw // Accountancy. — 1977. — March. — P. 50—54. 8. Терещенко О. До питання щодо удосконалення фінансового механізму антикризового управління підприємством / О. Терещенко, С. Павловський // Фінанси України. — 2016. — № 6. — С. 108—122. 10. Пустовгар С. Визначення рівнів неплатоспроможності підприємств металургійної галузі України / С. Пустовгар // Економіка. Фінанси. Право. — 2015. — № 6/1. — С. 15—21. 11. Neskorodeva I. An Approach to Predicting the Insolvency of Ukrainian Steel Enterprises Based on Financial Potential / I. Neskorodeva, S. Pustovgar // Journal of Eastern European and Central Asian Research. — 2015. — Vol. 2, No. 2. — Р. 33—43. 12. Decision Rules, Trees and Tests for Tables with Many-valued Decisions-comparative Study / [M. Azad, B. Zielosko, M. Moshkov et al.] // Procedia Computer Science. — 2013. — Vol. 22. — P. 87—94. 13. Пустовгар С. Визначення компліментарних та деструктивних факторів зовнішнього середовища й оцінка їх впливу на ризик фінансової неплатоспроможності металургійних підприємств в Україні / С. Пустовгар // Бізнес Інформ. — 2014. — № 11. — C. 114—119. In the article the methodological provision of the insolvency of enterprises is improved on the basis of the modeling of insolvency development scenarios, taking into account the factors of the internal and external environment, as well as the potential for solvency restoration. The implementation of the scenario approach to the assessment of insolvency risk is carried out in the following order: the current level of insolvency of enterprises is estimated, taking into account their current financial state; the financial potential of restoring the solvency of enterprises is estimated; Insolvency scenarios have been developed taking into account internal, external and financial factors. The scenarios of development of levels of current, critical, supercritical, liquidation insolvency and solvency are simulated. It is determined that the solvency condition of metallurgical enterprises is a high level of internal financial potential. The deterioration of the current state of solvency of the industry and the transition from a solvency class to enterprises with current insolvency may be caused by a decrease in the internal financial potential. Given the low financial potential for different levels of insolvency in the current period, it is possible to transfer enterprises to the level of the critical on supercritical insolvency. The supercritical and liquidation insolvency of metallurgical enterprises leads to a critical level of domestic financial potential of enterprises, which together with liquidation insolvency and negative influence of the environment leads to the liquidation of the enterprise. Such an approach to the diagnosis of insolvency of metallurgical enterprises, built on the basis of a comprehensive study of internal factors of financial activity of enterprises and factors of the environment, provides a perspective assessment of the insolvency of the enterprise, taking into account its current state and reserves of solvency renewal, which serves the financial potential. The offered approach allows to carry out preventive diagnostics of insolvency of the enterprise. Keywords: insolvency of the enterprise; insolvency risk; bankruptcy; financial condition; financial potential; solvency. 1. State Statistics Service of Ukraine (2019), available at: http://www.ukrstat.gov.ua/ (Accessed 25 Feb 2019). 2. Hamilton, D., Sun, Zh., and Ding M. (2011), "Through-the-Cycle EDF Credit Measures", Moody's Analytics Methodology, available at: http://www.moodysanalytics.com/~/media/Microsites/ERS/2011/through-cycle-EDF/MoodysAnalytics_Through-the-Cycle%20EDF%20Measure% 20Methodology%20Overview.pdf (Accessed 25 Feb 2019). 3. Wilson, T. (1997), "Portfolio Credit Risk: part I", RiskMagazine, рр. 111—117. 4. Chan-Lau, J. (2006), "Fundamentals-based estimation of default probabilities: a survey", available at: http://ideas.repec.org/p/imf/imfwpa/06-149.html (Accessed 25 Feb 2019). 5. Hosaka, T. (2019), "Bankruptcy prediction using imaged financial ratios and convolutional neural networks", Expert Systems with Applications, vol. 117, рр. 287—299. 6. Altman, E., and Hotchkiss, E. (2006), Corporate Financial Distress and Bankruptcy: Predict and Avoid Bankruptcy, Analyze and Invest in Distressed Debt, John Wiley and Sons, Ltd., Hoboken. 7. Toffler, R., and Tishaw, H. (1977), "Going, going, gone — four factors which predict", Accountancy, рр. 50—54. 8. Tereshchenko, O. and Pavlovskyy, S. (2016), "On the issue of improving the financial mechanism of anti-crisis management of the enterprise", Finansy Ukrayiny, vol. 6, рр. 108—122. 9. Tereshchenko, О., and Stetsko, M. (2017), "Diagnosis of insolvency of enterprises as a technology to support financial decision-making", Efektyvna ekonomika, [Online], vol. 3, available at: http://www.economy. nayka.com.ua/?op=1&z=5521 (Accessed 25 Feb 2019). 10. Pustovhar, S. (2015), "Determination of insolvency levels of enterprises of the metallurgical industry of Ukraine", Ekonomika. Finansy. Pravo, vol. №6/1, рр. 15—21. 11. Neskorodeva, I. and Pustovgar, S. (2015), "An Approach to Predicting the Insolvency of Ukrainian Steel Enterprises Based on Financial Potential", Journal of Eastern European and Central Asian Research, vol. 2, no. 2, рр. 33—43. 12. Azad, M. Zielosko, B. Moshkov, M. et al. (2013), "Decision Rules, Trees and Tests for Tables with Many-valued Decisions-comparative Study", Procedia Computer Science, vol. 22, рр. 87—94. 13. 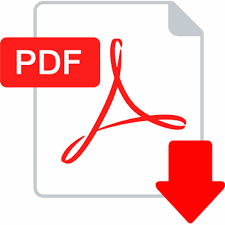 Pustovhar, S. (2014), "Identification of complementary and destructive environmental factors and their impact on the risk of financial insolvency of metallurgical enterprises in Ukraine", Biznes Inform, vol. 11, рр. 114—119.